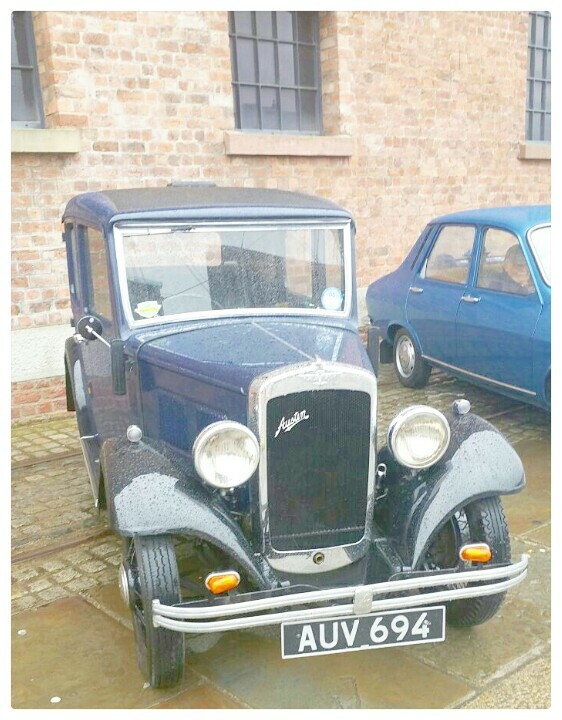 I was recently asked to go along to an event being held on the Albert Docks in Liverpool, on Saturday 9th and Sunday 10th July. 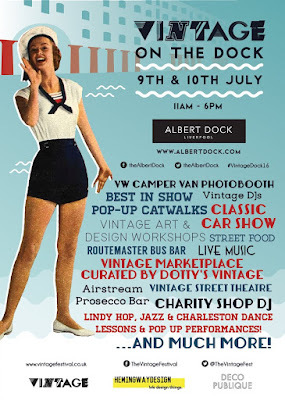 If you haven't heard of the event already, Vintage on The Docks, is a celebration of 20th Century vintage cool, by designers Wayne and Gerardine Hemingway MBE and is an event not to be missed! 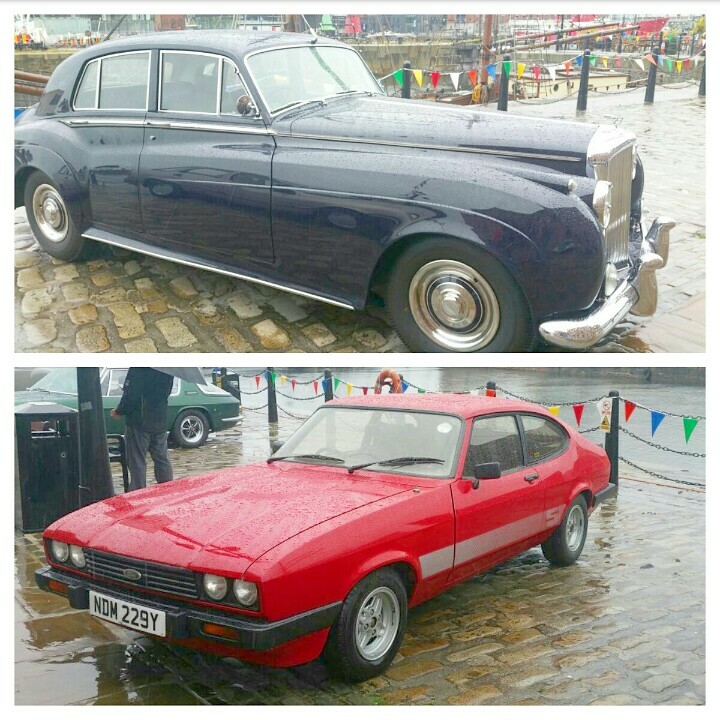 Although in British weather style the whole day was rainy, cold and dull, that didn't stop so many people going along to a fantastic event! The stalls, the fashion, the music, the style, everything you can think of vintage landed on Liverpool's Albert Docks and any vintage fashion lover couldn't have asked for more! 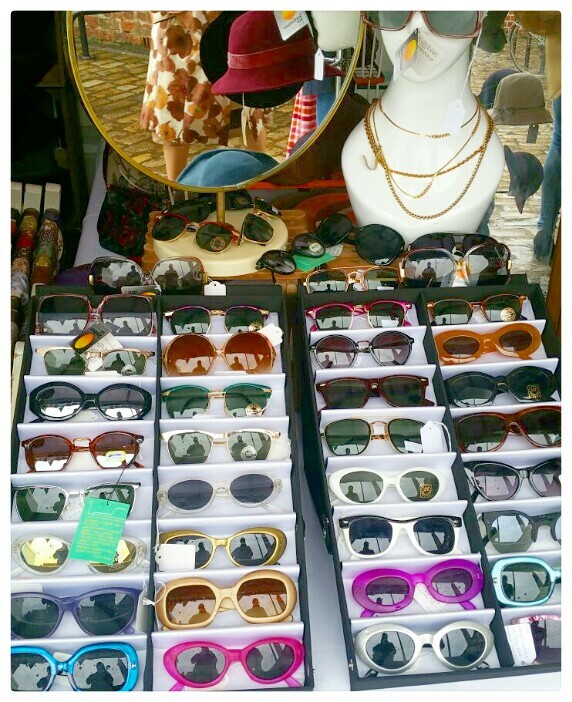 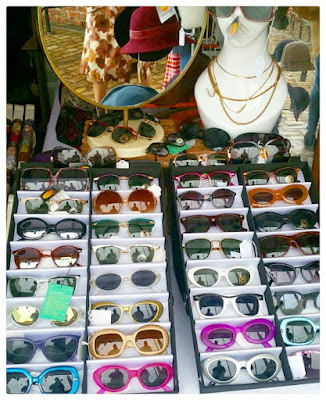 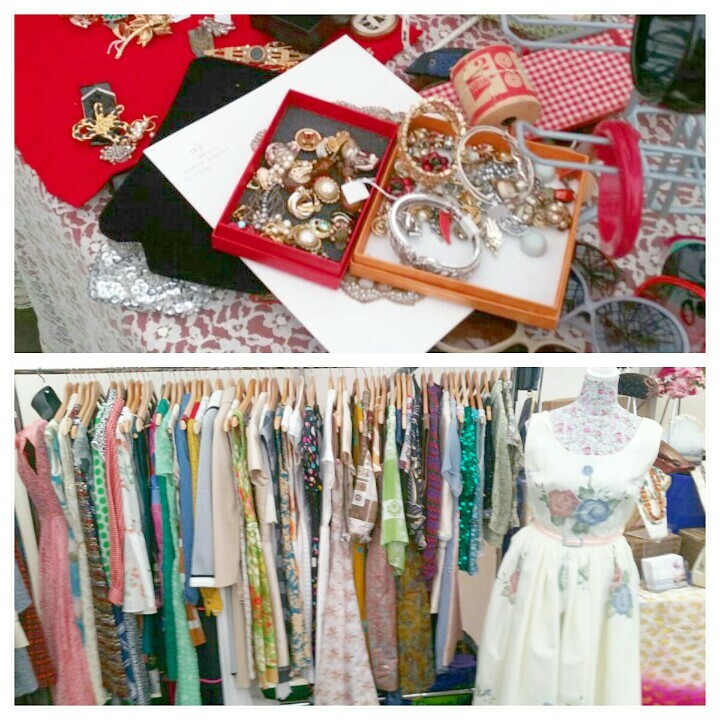 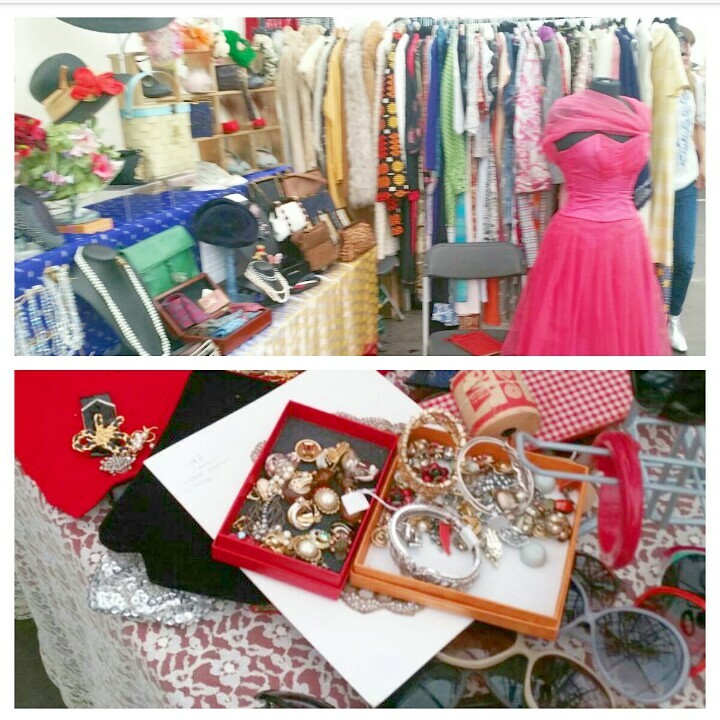 If you're looking for some seriously stylish eye candy can browse the vintage marketplace, with the best traders hand-selected by keen-eyed curators, Dotty’s Vintage. From vintage clothes and accessories, to mid-century modern home-wares, records and music memorabilia from the 1920s through to the 1990s, the vintage marketplace is a treat to behold. 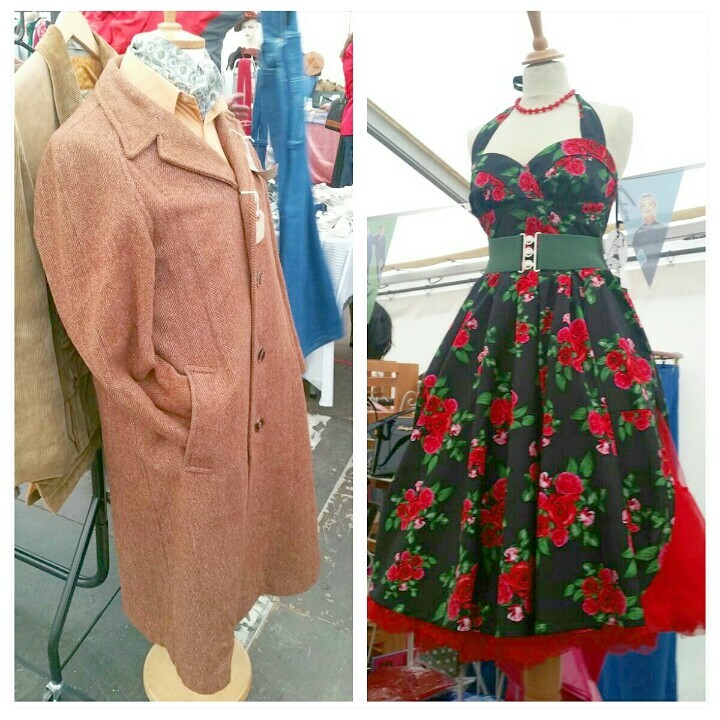 You could receive a vintage, music star-inspired hairstyle in the mobile hair salon, Total Eclipse of the Head, and allow the dance professionals to show you the moves that set dance floors alight in times gone by, from the Lindy hop to the Charleston. Car enthusiasts would also be in heaven and marvel at the stunning selection of handpicked classic cars on display, taking us back on a journey through timeless automotive design. 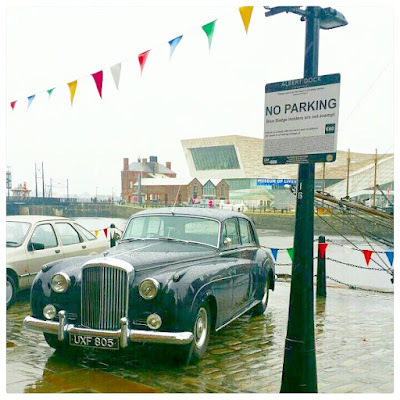 I wish it was all great but sadly, getting around in a wheelchair is a nightmare - although everything else is perfect! 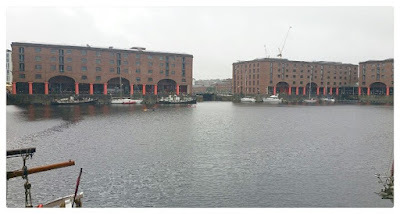 I have mentioned about wheelchair and disability access in a previous blog post, "Albert Dock & Maritime Museum". I do understand that the Liverpool Albert Docks has cobbles and slate floors as to keep the old-fashioned look but I do think there needs to be more disabled friendly access put in. Other than that I can't fault it!